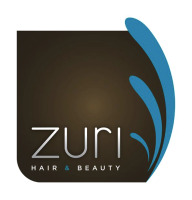 Zuri is a modern, unique salon that offers city centre experienced stylists in a convenient, stress free, village location with free parking, wifi, I pads, TV and refreshments. carefully selected and trained to combine young vibrant talent ALONGSIDE the knowledge and skill of OUR SENIOR stylists, each with over 20 years experience. We are not just reliant on our years in the industry, we constantly research and train in new products and techniques to keep our clients informed of what's new and the seasonal changes we can add to their current style.